In 2015, an estimated 154,000 migrants entered Europe via the Mediterranean from Libya—an increase of more than 1,000 per cent from 2012, while Somalis, most of them young men, were among the top five nationalities crossing the Mediterranean during the first six months of 2015. Although much has been written about the rise in migration to Europe and migrant deaths at sea, little is written about the journey migrants take prior to attempting the crossing. 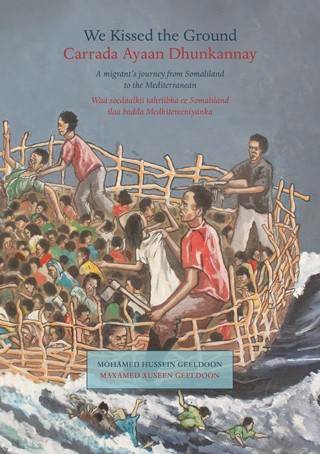 We Kissed the Ground is a first-hand account of a young man’s attempt to migrate to Europe from Somaliland and the hardships of the journey through Ethiopia, Sudan and Libya, a journey attempted by many young Somalis and commonly referred to as tahriib.